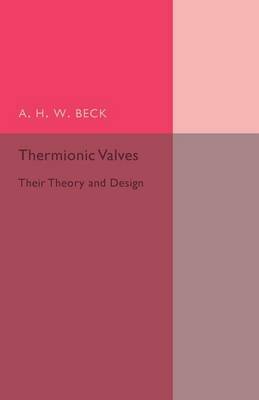 Author(s) Beck, A. H. W.
Originally published in 1953, this book provides a theoretical account of the behaviour of thermionic high vacuum devices. Beck, who later became Professor of Engineering at the University of Cambridge, aims his explanation primarily at physics or engineering graduates in order to furnish them with the necessary background knowledge to 'appreciate current research papers'. This book will be of value to anyone with an interest in the history of science education and electrical engineering.